Please find the latest SiteW news as related by the media. 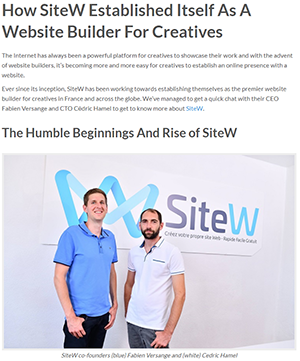 Ever since its inception, SiteW has been working towards establishing themselves as the premier website builder for creatives in France and across the globe. 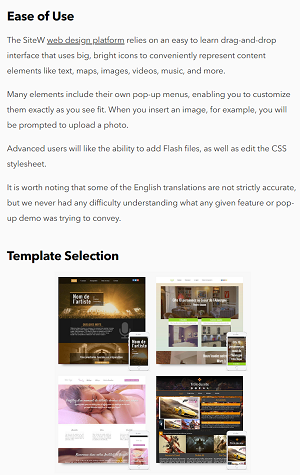 SiteW is a relatively unknown (among English speakers) website builder that has produced over one million websites to date. Based out of France, the builder is accessible to all, with language options for French, German, Spanish, and English.